Pharmacy-Based Immunization Delivery is an innovative and interactive practice-based educational program that provides pharmacists with the skills necessary to become primary sources for vaccine advocacy, education, and administration. The program reviews the basics of immunology, identifies legal and regulatory issues pharmacists must consider before starting an immunization program, and focuses on practice implementation. Provide pharmacists with the knowledge, skills, and resources necessary to establish and promote a successful immunization service. 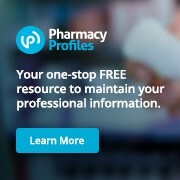 Teach pharmacists to identify at-risk patient populations needing immunizations. Teach pharmacists to administer immunizations in compliance with legal and regulatory standards. Pharmacy-Based Immunization Delivery is conducted in two parts: the self-study and the live training. To earn a Certificate of Achievement, participants must complete all components of the program including the self-study, the self-study assessment, the Pharmacy-Based Immunization Delivery live training seminar, the final examination, and the injection technique assessment. The first part – the online self-study learning modules – is meant to ensure that all participants have an understanding of vaccine-preventable diseases and the role of pharmacists as vaccine advocates and administrators. There are five learning modules that present in-depth information on immunology, practice implementation, and legal and regulatory issues as noted below, with appropriate references to the Centers for Disease Control and Prevention (CDC) resource publication, Epidemiology and Prevention of Vaccine-Preventable Disease. The self-study program includes a self-assessment test and real-life case studies that are designed to help reinforce and evaluate participants’ understanding of key information and concepts. Describe the current status of vaccine-preventable diseases in the United States and the effects of immunizations on morbidity and mortality rates. Identify potential opportunities for pharmacists to become involved in immunization delivery and explain the advantages of pharmacy-based immunization programs. List key resources available for immunization providers and educators. Compare available resources of immunization information and identify resources of particular value to the pharmacist’s own practice site. Identify the differences between active and passive immunity. Explain how vaccines elicit an immune response and provide protection from diseases. Describe the differences between live and inactivated vaccines. Classify the vaccines available on the U.S. market as live attenuated or inactivated. Describe the clinical features and potential complications of vaccine-preventable diseases. List the vaccines available on the U.S. market for each vaccine-preventable disease. Identify the contraindications and precautions for the use of each vaccine. Recognize the target groups for vaccination based on the Advisory Committee for Immunization Practices (ACIP) recommendations. Review a patient’s medical and immunization history and determine vaccination needs based on the current ACIP recommendations. Outline an appropriate vaccination regimen for a patient, including the recommended schedule, dose, and route of administration. Educate patients about the possible adverse reactions following receipt of a vaccine. Investigate the legal, regulatory, and liability issues involved in offering a pharmacy-based immunization program. Explain the federal Vaccine Injury Compensation Program and recall the requirements of this program. Describe Occupational Safety and Health Administration (OSHA) regulations designed to prevent employees’ exposure to bloodborne pathogens and needlestick injury at worksites where immunizations are given. Outline the principles and procedures for vaccine storage and handling. Identify potential options for obtaining reimbursement for vaccines and vaccine administration. Identify marketing strategies that can be used to promote a pharmacy-based immunization service. List methods to identify patients who are at highest risk of vaccine-preventable illness. Review a patient case and identify that patient’s vaccine needs using the appropriate immunization schedule. Recall recommended patient screening questions for vaccination and identify valid contraindications for vaccinations. List five key factors that influence patients when making vaccination decisions. Identify common myths about vaccines and outline the facts that dispel these myths. Describe the requirements for providing Vaccine Information Statements to patients. Discuss the rationale for timing of vaccine administration and intervals between doses, including vaccine-vaccine spacing and vaccine-antibody spacing. Explain appropriate techniques for administration of vaccines by the intramuscular, subcutaneous, and intranasal routes. Describe the signs and symptoms of adverse reactions to vaccines and the emergency procedures that immunizing pharmacists should follow in the event of an adverse reaction. The second part of the program—the live training seminar—provides an active learning experience that focuses on pharmacy practice implementation. The live training seminar is based on the experience of practitioners involved in immunization advocacy and administration. The training seminar reinforces and expands on the self-study program and addresses areas such as immunization needs, legal and regulatory issues, and injection-technique training. Participants will be expected to practice giving intramuscular and subcutaneous injections. Identify opportunities for pharmacists to become involved in immunization delivery. Describe how vaccines evoke an immune response and provide immunity. Identify the vaccines available on the U.S. market for each vaccine-preventable disease and classify each vaccine as live attenuated or inactivated. Evaluate a patient’s medical and immunization history and determine in the patient falls into the target groups for each vaccine based on the Advisory Committee for Immunization Practices (ACIP) recommendations. Review a patient case and determine patient-specific vaccine recommendations based on the appropriate immunization schedule. Discuss the legal, regulatory, and liability issues involved with pharmacy-based immunization programs. Describe the emergency procedures for management of patients with adverse reactions to vaccination. List the steps for the appropriate intranasal administration technique for the live attenuated influenza vaccine. Demonstrate appropriate intramuscular and subcutaneous injection technique for adult immunization. Read the self-study modules in their entirety and successfully complete the self-study assessment. A score of 70% or better is required. Participants may have a maximum of two attempts to achieve a passing score. Attend a live training seminar offering and successfully complete the open-book final exam. A score of 70% or better is required. Participants may have a maximum of two attempts to achieve a passing score. Demonstrate competency in one subcutaneous and two intramuscular injections as assessed by the activity faculty during the live training seminar. Please Note CPR Requirement: All participants are strongly encouraged to obtain cardiopulmonary resuscitation (CPR) or basic cardiac life support (BCLS) certification. However, certification is not a prerequisite for the program. A Certificate of Achievement is awarded to participants who successfully complete all program requirements. The Certificate of Achievement is invalid, however, without written proof of current CPR or BCLS certification. The self-study portion of the Pharmacy-Based Immunization Delivery certificate training program is approved for 12 contact hours (1.2 CEUs) of continuing pharmacy education credit (ACPE UAN: 0202-9999-17-160-H06-P). The live seminar is approved for 8 contact hours (0.8 CEUs) of continuing pharmacy education credit (ACPE UAN: 0202-9999-17-161-L06-P).